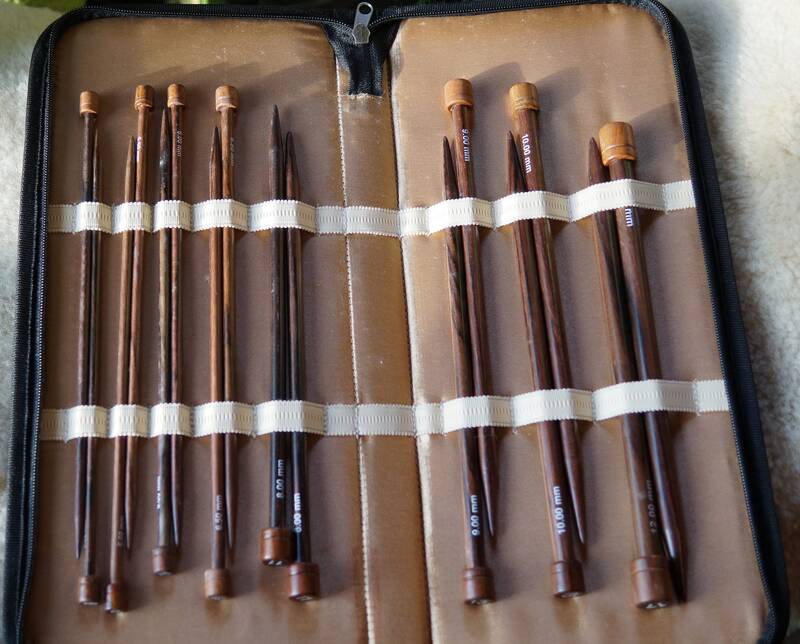 This is a set of 10 inch single point needles US sizes 8, 9, 10, 10 1/2, 11, 13 15,and 17. Needles come in a silk zippered case. Beautiful gift for your self or someone else. Sadly, the Colonial Needle Company is no longer in business.